“We left Paris – for now – well organized and ubered ourselves to the St. Lazare Gare and a smooth RxR ride to Rouan where for a couple of fraught hours we struggled with travel glitches due to an auto pick up and massive crowds at an unexpected Saturday side walk days sale. I’ll just post 3 images of Joan of Arc’s city of execution, all of them of the Famous Rouen Cathedral. It was the first stop for Paris bound American tourists in the early 18th Century and for the bumptious Americans the lofty ancient cathedral blew their minds. It was probably two or three times taller than any building in America at that time. 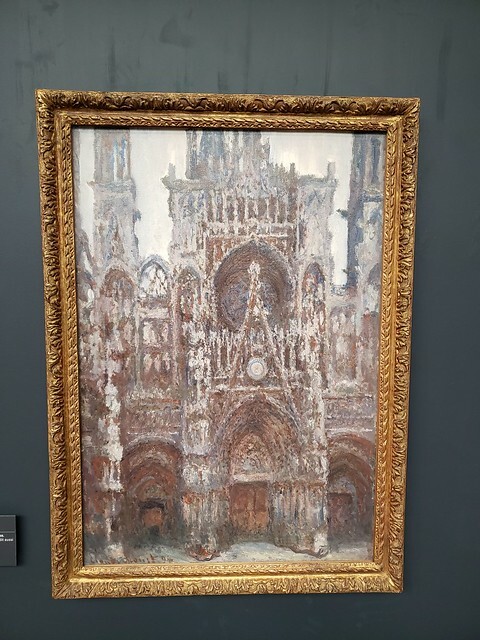 It was meant to blow people’s minds like all the other Gothic cathedrals of Europe, imbuing them with the awe of God and beckoning them on pilgrimages for the local promoters, ateliers and religious functionaries. And finally one of a couple short movies I took of the arty and historical light show. I cut it off too early. 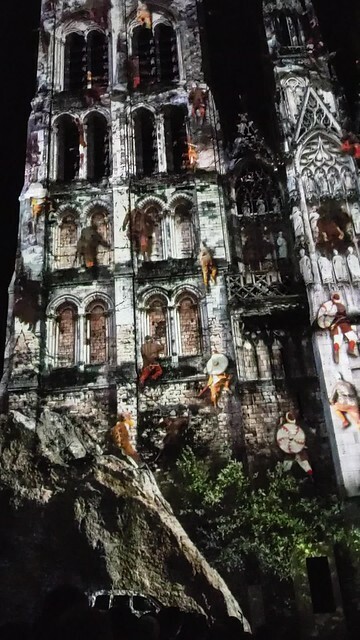 This shows viking raiders climbing the walls to sack some poor French town. Had I continued you could have seen monks cascading down from the parapets just scaled by the viking attackers. There was a cool monstrous snake at the beginning that dove into the cathedrals cubby holes and then back out of them as well as a lot of religious iconography. The Queen of England was one of the last images to show where the lines of Norman blood have ended up in our time. And lastly a discouraging word. The Duluth School District’s Superintendent has brought down on it one more bit of bad news just before the public appeal for a significant increase in school levy taxes. Operating on the principle of “no good deed should go unpunished” The Superintendent’s refusal to share public data with my former college on the School Board, Art Johnston has brought a lawsuit against the District.